When you are a kid, they teach you not to "step in the bucket" when you are hitting, as it makes it hard to cover the outside part of the plate. That's how Simmons -- a right-handed hitter who stepped toward third base -- did it, and it wasn't an issue. 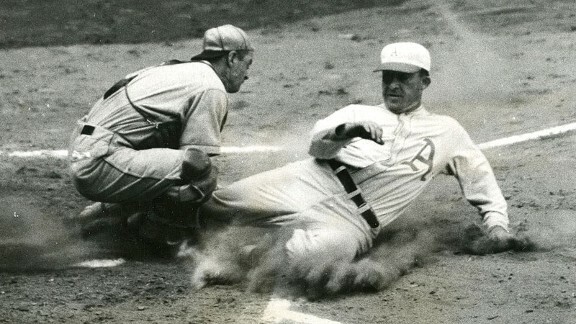 Simmons was a model of consistency, and he helped the Athletics win back-to-back World Series in 1928 and 1929.